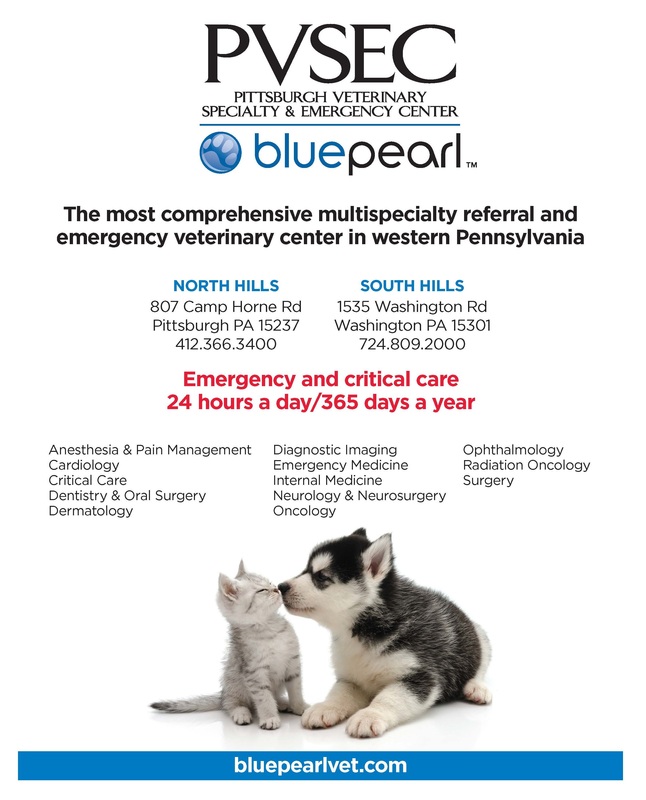 PetConnections > The Magazine > Pittsburgh PetConnections Magazine > Articles – Pittsburgh > Health & Wellness > Dogs Need Rules! There is a very big difference between being positive and being permissive when it comes to dogs. Having rules and routines are an important part of living happily with canine companions. Creating rules, routines, and expectations for our dogs gives them consistency that can help prevent or minimize problem behaviors. Dogs tend to thrive in situations where they know what to expect, and what is allowed and what is not. When dogs lack structure, a wide range of behavior issues can emerge. I frequently am asked questions like: “Is it okay for my dog to be on my couch, or is he being dominant?” or “My husband would like Fido to sleep on the bed with us; is that okay?” My answer to these types of questions is always, “It’s up to you.” In my home, dogs can be on the couches and beds, but this is my personal choice. It has nothing to do with them “owning space.” There is nothing wrong with wanting to keep dogs off furniture. I would suggest that dogs that display guarding behaviors not be allowed onto furniture or beds, for example. However, it’s up to the humans in the household to make the house rules and consistently enforce them. This set rules and expectations for my dogs work well for me, but may not be the best rules for everyone. 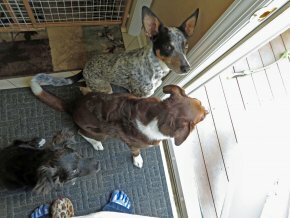 Living in a multi-pet home with high energy young animals, foster dogs, and an adult dog who has worked through serious behavioral issues, I require a lot of structure to ensure a peaceful home. Dogs must be lying on their mats while I prepare their dinner, and stay on their mats until released to eat. When humans are eating a meal, dogs must lie on their beds. Dogs cannot jump up onto people — no paws on people. Dogs must wait until released to exit any open door (house, car, crate, etc.). Dogs must sit to get their harness, collar, or leash for a walk. No dogs in my kitchen when I’m cooking. Dogs must move from furniture when asked. Dogs must walk on a loose leash. Games of fetch and tug each have their own set of rules. Dogs may not take food off plates. By following all the rules my dogs earn an incredible amount of fun and freedom: they can go wild when I arrive home as long as they keep their paws off me, they can accompany me many places and have many adventures because they are great on leash, they are never left in crates unless at a hotel, they don’t need to be crated or gated away when I have parties with plenty of food and guests, and they spend much of their time in areas where being off leash is legally allowed. Without consistent rules the dogs would likely run my house, jump on guests, steal food, squabble with each other over food, and potentially escape through open doors. Establishing what rules and routines you want to implement in your home is only part of the equation. How you teach the rules is just as important as what you want to teach. Most rules in my house are shaped over time through routine building, training, and management. My foster puppy, Loki, learned to lie on his bed while I eat by being put in a crate with a frozen Kong during my meals. This management method created a routine of him so that he learned to relax until released. As he got older the crate door was left open. Eventually the crate was removed and the mat remained in its place. I never had to force Loki to his mat, use body blocking to keep him there, or scold him for leaving his place; he simply followed the routine I’d built starting with the crate. To teach my jumping bean, Rio, to keep his paws off of me when I arrive home, I first spent time teaching him that sit gets attention. When I walked in through the doorway, if he jumped up I’d calmly turn around and leave. The first day it took me nearly 30 minutes to get inside, but it only took three days for Rio to completely stop jumping up. I was clear with him that jumping made me leave, and keeping his paws off me resulted in petting, cuddles, and treats. Consistently enforcing rules is absolutely critical for success, yet this is the area humans seem to struggle with most. If I had sometimes petted or smiled at Rio when he jumped up, and sometimes I walked out the door, I would have sent very confusing messages. Rio likely would have had no idea what I wanted, so he would have continued jumping for attention. Start with the dog and you in the kitchen, within a foot or two of a door or boundary. Say “Kitchen!” (before reaching for a treat). Toss a high value treat OUT of the kitchen — make sure your dog sees the toss. Click a clicker or say “Yes!” as the dog leaves the kitchen to get the treat. With your dog still outside the kitchen, do several repetitions of: Click/ “Yes,” and toss another treat to the dog. (The dog gets 5 or 6 treats for STAYING out of the kitchen). Say “All Done!” and indicate to your dog that he is welcome to come back into the kitchen. Repeat steps 1-6 five to ten times. When your dog is easily running out of the kitchen on command, move on to the next step. Next, say “Kitchen” and pretend to toss a treat. Click/ “Yes” as your dog crosses the threshold, then toss the treat beyond him. Click/”Yes” and treat five to ten times for your dog remaining out of the kitchen. 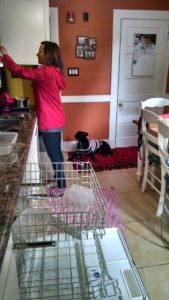 Repeat steps 8-10 one or more times daily until your dog is reliably exiting the kitchen on command. Slowly start moving farther from the door before sending your dog out. Slowly reduce the rate of reinforcement — how often he gets a treat.